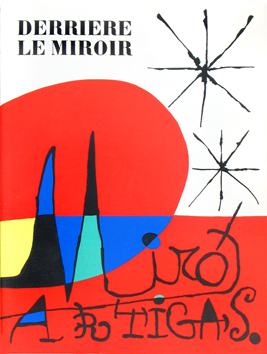 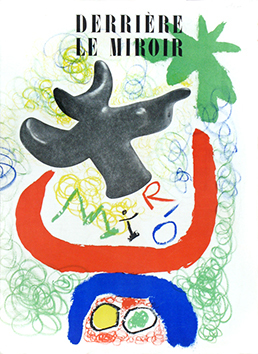 Issue "Derrière le Miroir", in-2, loose sheets in illustrated wrappers. 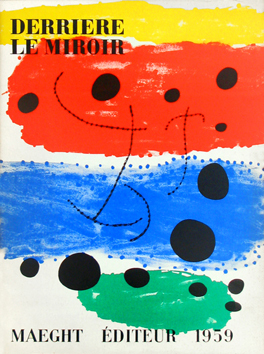 Maeght Publisher, Paris.First edition. 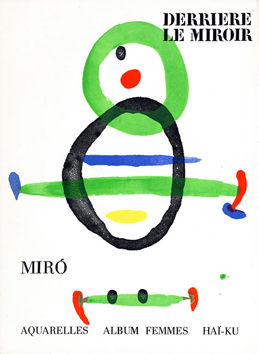 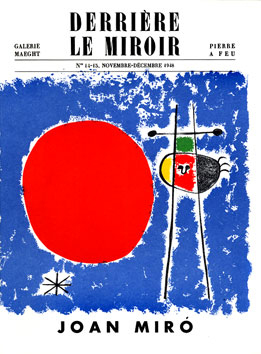 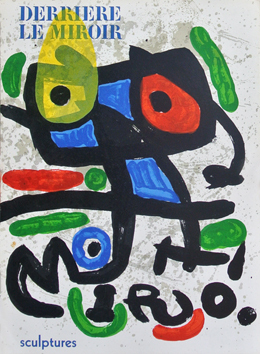 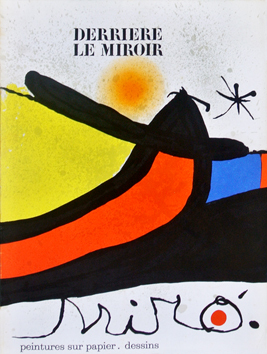 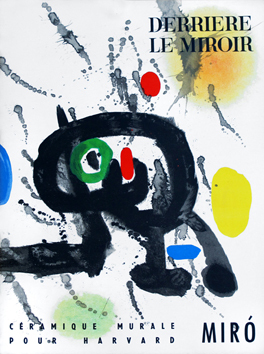 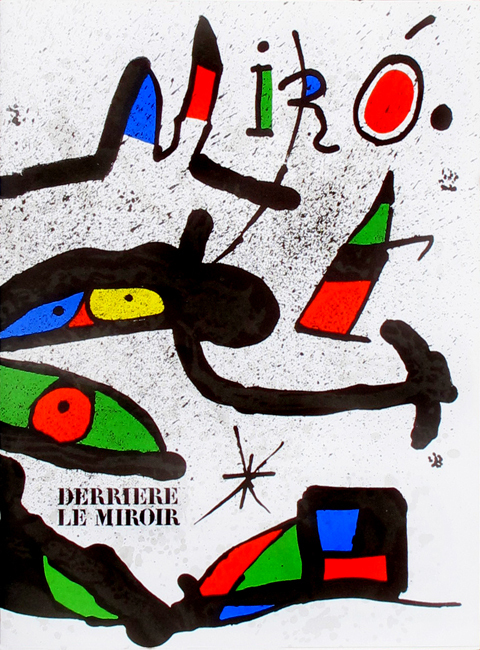 Text by Marcellin Pleynet "Miro et la culture moderne", 2 original lithographs in coulors and in double-page by Joan Miro, 8 reproductions in colors and 6 reproductions in black and white. 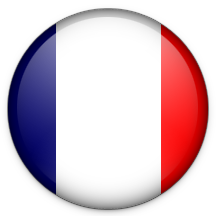 Ref : Cramer n° 239, Mourlot n° 1150 et 1151, Cat. DLM 1946-1982 page 100.